I Was in a Truck Accident - What Do I Do? 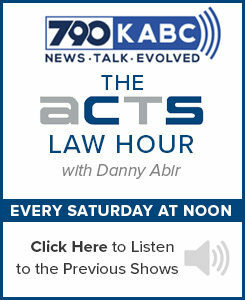 - ACTS Law Firm in California | Abir Cohen Treyzon Salo, LLP. Home » News » I Was in a Truck Accident – What Do I Do? All of us share the road with millions of trucks, from normal passenger trucks to giant semis. Although most drivers are well-trained and responsible, accidents with these trucks are unfortunately common. Because trucks are larger than other vehicles, this kind of accident can cause a great deal of damage both to vehicles and the people they carry. When you have been in a truck accident, your next steps are crucial. Following the right directions will ensure that you can get compensation for the injuries and damage caused by an accident. Staying at the scene of an accident is important to begin the process of attaining justice for an accident. People who have been in a collision should only leave if the area is not safe. Doing otherwise is against the law and constitutes a hit and run. If you can, remain in your vehicle. If possible, leave the vehicles exactly where they are. If this is not safe, move them as little as possible. This helps to preserve evidence and gives authorities visual proof of what happened. It is important to remain at the scene, not just to preserve evidence for authorities, but to await medical help. Many people have injuries that are not immediately apparent. Too much movement may exacerbate these. Truck accidents can cause serious injuries and even kill. Calling 911 will ensure that police, medical personnel, and other first responders are on their way as soon as possible. Calling 911 immediately also ensures that a crash report will be taken and that an investigation can begin. Reporting the incident is the first step toward being made legally whole. Before vehicles are moved, you should take photos or even video of the accident scene. This should include damage to the vehicles involved, skidmarks on the road, and landmarks that are in sight which can establish the location. You can also record the behavior of other drivers, particularly if they seem agitated or intoxicated. You can also record what you recall happening in your own words. If it is too dark to get good photos, consider using a video with audio recording. Having a record of what happened will be important because settlements for vehicular lawsuits can take months or even years to conclude. You and the other people involved will not remember what happened as well as you do immediately after the crash. There are a few pieces of information that you will need to follow up with the other driver. This includes their name, license plate number, and full insurance information. It is best to take a photo of their insurance card, although you only really need the policy number and insurance company. If possible, get their phone number and driver’s license number. If the driver will not give you this information, try to document their refusal on a video or audio recording. This will show that they were not cooperative or reasonable. Many people make emotional statements assuming fault or apologizing after an accident, even one in which they bear no responsibility. These can be held against you by both insurance companies and courts. Try to say as little as possible in the emotional first minutes after an accident. It is best to ask questions after a wreck and say as little as possible publicly. Ask witnesses what they saw and record their testimony. Think hard about what happened and make sure you have a firm timeline of events before giving any kind of statement to the police or other first responders. Insurance companies have lawyers who specialize in truck accidents. If the truck driver was a professional, they too will have a truck accident attorney. You deserve legal counsel that is just as experienced as theirs. 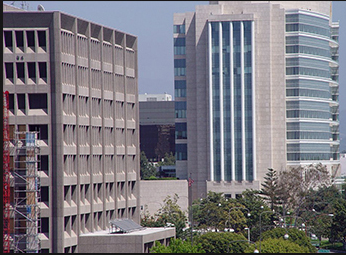 An experienced Los Angeles attorney knows the common tricks that insurance companies use to get out of paying their fair share of expenses. They can help you to get the compensation that you need to move on with your life. Truck accidents can leave injuries that do not become apparent for days or even weeks. Getting good medical care is essential to making a complete recovery. You should attend all appointments and follow your doctor’s orders exactly. Following medical advice is important not just for your future well-being, but for getting compensation as well. If you do not follow your doctor’s orders, insurance companies may argue that your lasting injuries are your own fault. Document all doctor’s visits as well as medications, therapies, and symptoms. Save receipts so you can ask for compensation as part of your settlement. Every state has different reporting requirements. Some require reporting accidents to the DMV, others to the state police, and some to both agencies. Other states require reporting when the damage exceeds a certain threshold or when people have been injured. It is important to find out which laws apply to your jurisdiction and follow them exactly. This also will establish a paper trail regarding the accident. Once there is a vehicular accident, the clock starts ticking. There is a limited time to file a lawsuit or take other legal action before the statute of limitations runs out. Once the statute of limitations has passed, you cannot enforce compensation of any kind. 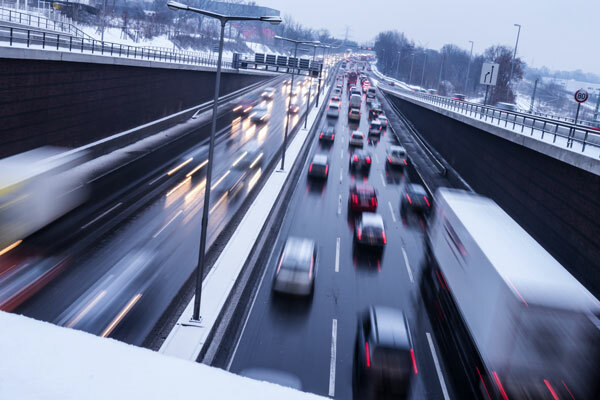 A truck accident can be devastating; your vehicle will likely sustain major damage. You may also have physical injuries. Many people must miss work due to these injuries or a lack of transportation. If your injuries are serious, pain and suffering payments also may apply. Regardless of the severity of your accident, it is important to involve an attorney who specializes in truck accidents as soon as possible. Your attorney can ensure that you have a chance at fighting insurance companies for the compensation that you need and deserve. They can help to collect evidence, refer you to specialized care, and tell you how to handle the different tasks involved. A truck accident attorney will be the advocate that you need to get the fullest recovery possible, both physically and financially.